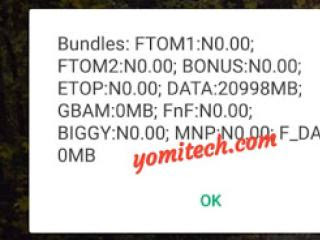 Internet & Tricks Latest Glo Internet Data Bundle Freebie. Latest Glo Internet Data Bundle Freebie. Already we are in the "Season Of Surprises" as lots of freebies packages are rolling out from all the corners. While MTN users are still enjoying the mPulse and 0.0k free browsing cheat here is something for Glo users. 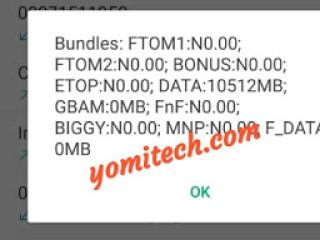 With this simple trick, you will be able to get 5.2GB data for just N100 and 10.4GB data for N200 only. Without much talk, just follow the simple steps below to get 5.2GB or 10.4GB data for N100 or N200 respectively. Step 2: After migrating, recharge your mobile line via E-top up (e.g your banking app, bank USSD code or other online channels) with N100 or N200. Step 3: You will receive 5.2GB for N100 recharge and 10.4GB for N200 recharge. To check the data balance, dial #122#. Note You can accumulate the data (just as shown in the screenshot below).This tweak is SIM selective and it works mostly on new Glo Sims.